Pedailling on the trail of Andreas Hofer in the Passiria valley in South Tyrol. Fifteen level and interesting kilometers remote from the traffic to the Sandhof, home of the legendary Tyrolean freedom fighter, Andreas Hofer. Once there, the Passeier Folklore Museum is well worth a visit. 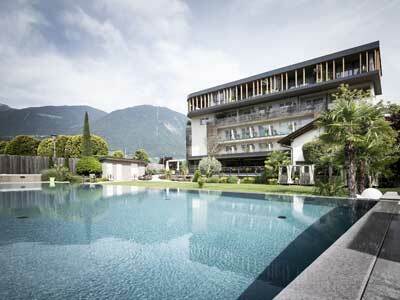 There are many opportunities for sport including swimming pools at S. Leonardo and S. Martino, horse riding in parkland or in the mountains, tennis courts as well as a marvellous 20 km cycling path, stretching as far as Merano, through idyllic orchards and over small picturesque bridges. The cycle path along the river Passirio promises an unforgettable time for all the family. The Schneeberg Monteneve Mining Experience guides visitors through 800 years of mining history. Other highlights: the Bunker Mooseum in Moso, which provides a glimpse of local history, and the Timmelsjoch Experience, a unique cross-border project. The Passiria Valley has a richly eventful and interesting past. Cultural treasures include the ancient Rhaetian places of worship found above the village of Stulles, the numerous churches and old farms that shape the valley landscape, the Painters' House in S. Martino and of course the Sandhof, the birthplace of Andreas Hofer, probably the most famous of all Tyrolean freedom fighters. 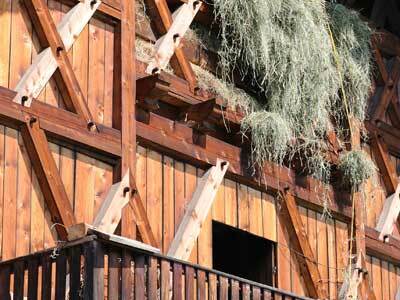 Rustic farms blend harmoniously with the dense forests and crystal clear lakes in the pure mountain air. In June the alpine roses are in all their glory. It's high season for hikers and mountain lovers and the perfect time to discover the Hirzer Plateau and Nature Park Gruppo di Tessa or enjoy the sunshine along the beautiful irrigation channel paths. Over 300 km of hiking trails offer something for everyone, with leisurely walks along the river Passirio or challenging climbs in the mountains of the Gruppo di Tessa. The Erlweg trail leading from the Sandwirt inn directly to the Fartleishöfe farms was once the only route connecting the remote farm area to S. Leonardo. This ancient route, shaded by grey alder trees, includes inviting rest spots and vantage points. 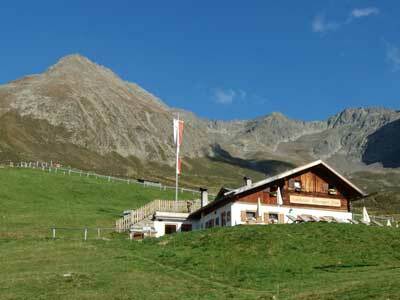 The Museum Passeier is located on the farm of the Tyrolean patriot Andreas Hofer, the Sandhof Inn. The Jaufenburg Castle is part of the Museum. The St. Martin am Schneeberg settlement is a former village for miners working at the Schneeberg Monteneve mine and can only be reached on foot. Today the shelter, exhibition and the mine itself document the history of one of the most important lead and zinc mines in Tyrol. Merano's Alta Via (the Merano High Mountain Trail) encompasses the reserve of the Tessa mountains and is one of the most beautiful paths of the Alps. A famous trail is the European hiking road (signposted E5) that links Lake Constance to Venice and passes through Passiria valley. Near to the high road of Passiria valley you will also find the high road of Tyrol and the excursionary trail in the heart of Ötztal valley and Stubai. 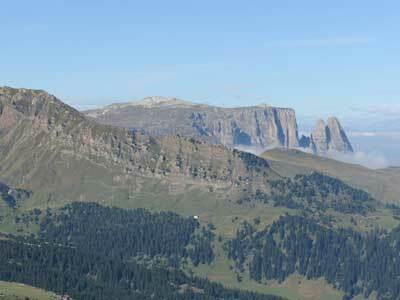 Passiria valley is ideal for Nordic Walking. There are easy or more difficult paths for all levels. 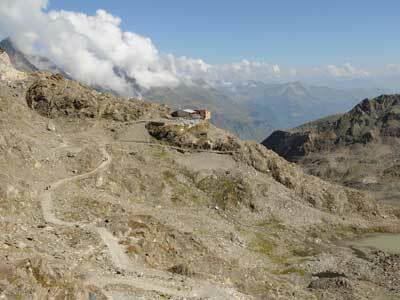 The Passo Giovo (2097 m) represents the shortest road from Merano to the Brennero. Already in the Middle Age the path "Jaufenweg" was especially used for the transport of persons and goods. The path "Jaufenweg" has been first mentioned in a document in 1186. 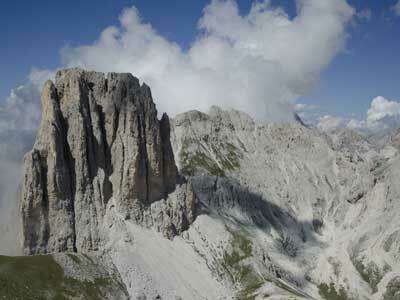 Also the path that leads over the 2509 m high Passo del Rombo was very important in ancient times. The pass road to the Ötztal Valley has been mentioned already in 1241 and representes in summer the shortest connection between Augsburg, Fernpass and Merano. The Ski Resort of Plan can guarantee a large amount of natural snow, and has slopes that cater for all tastes and experience levels.